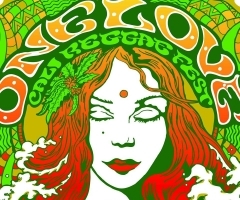 The 3rd Annual One Love Cali Reggae Fest kicked off February 9th and 10th, and what a weekend it was! 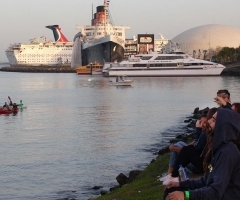 It doesn’t get much better than two full days of listening to incredible music alongside the Long Beach bay with a beautiful view of the majestic Queen Mary, which also hosted the festival pre and after parties. The first day started off overcast, but you could certainly feel the excitement in the air as festivalgoers arrived early to catch the first few acts of the day. The gates opened just as Iya Terra started off the Main Stage with a powerful performance that got the vibes going in full force. Other morning performances on the Flav Stage included Dubbest, White Glove Service and Hawaiian locals, The Steppas. Heavy-hitters The Movement followed up Iya Terra on the Main Stage, who got the crowd warmed up for the party that Fortunate Youth brings every time. Clouds of smoke follow this band pretty much wherever they go, making their live set always one of the most anticipated and entertaining ones to catch. The crowd was especially pleased when they brought out Bret Bollinger of Pepper to help them sing “Dial My Number” off their self-titled album. After Matisyahu’s first performance of the weekend, Bret came back out with his Pepper brothers to keep the party going, which they did oh so well. All of this, and the day wasn’t even half way over! As the sun began to set over the harbor, J Boog took the stage next while Josh Heinrichs’ soulful vocals filled the air on the Flav Stage. After a full day of reggae music, the legendary Atmosphere came out to mix things up with some hip hop. Twiddle was another band that stood out from the rest. They closed out the Flav Stage with improvised jams and crushing guitar solos making for a memorable performance. At the same time, Rebelution came closed out the night with a high energy set that could be felt from all corners of the venue. We arrived early again for Day Two just in time to catch songstress, HIRIE rock the stage with a refreshing sound. HIRIE also happened to be one of the only female singers playing the festival along with Nattali Rize who performed later that day. For Peace Band flew in all the way from Guam to bless the stage and they did not disappoint. Matisyahu did something special that afternoon by performing his Live at Stubb’s album, finishing it off with an impressive stage dive into a sea of people. I would say that moment was a highlight of the weekend for a lot of people. Day 2 was overwhelmingly packed with amazing back-to-back performances from artists like Tyrone’s Jacket, Arise Roots and The Green. The Expanders, The Original Wailers and Tribal Seeds are currently on the Roots Party Tour and made a stop at the One Love festival that afternoon, as well. Stick Figure gave an extraordinary grand finale performance, finishing off their Above The Storm Tour and brought up special guests Iya Terra and Matisyahu to help them close out their set. 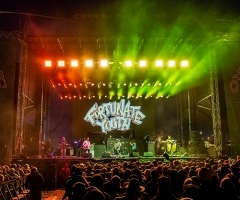 Reggae veterans Iration, Barrington Levy, Yellowman and Ben Harper and The Innocent Criminals made for an epic finish to this two-day festival followed by hip hop legend and One Love headliner, Nas. 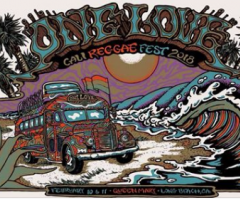 The 3rd Annual One Love Cali Reggae Fest was another weekend for the books, and sent everyone who attended back into their lives riding a reggae festival high for the rest of the week. 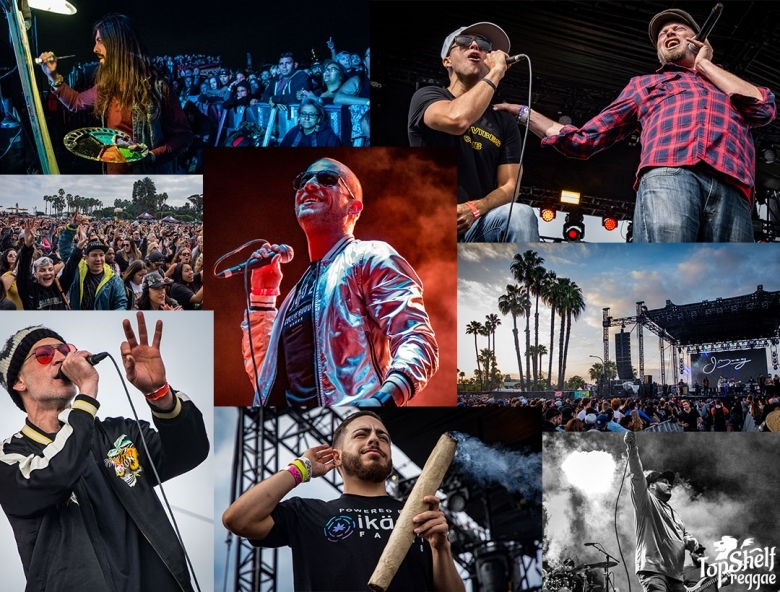 For more One Love Cali Reggae Festival coverage, stay tuned for Top Shelf Reggae photo galleries showcasing daily highlights.